Dawn Marie Nagel, 46, of Cary, formerly of Buffalo, NY died Wednesday, November 1, 2017 at her home in Cary after a long illness. Dawn was born July 29, 1971 in Buffalo, NY. 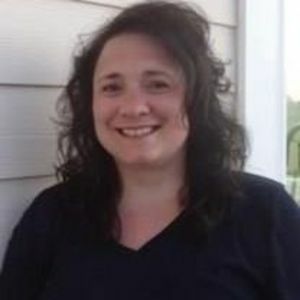 She was a graduate of D'Youville College and was employed as a physical therapist for Erie County Medical Center and most recently the Duke Raleigh Hospital. Dawn's passion was loving and raising her two boys. She was a supporter of Green Hope football and was famous for her team taco parties. To students and players, she was "Mama Nagel" and she never ended a conversation without telling you that she loved you. Dawn was preceded in death by her mother, MaryAnne Campanella Falsone; nephew, Tyler D'Angelo; brother-in-law, Lester D'Angelo; father-in-law, Kenneth Nagel. She is survived by her husband of 23 years, Devin K. Nagel; father, Joseph Falsone; sons, Mason and Colin Nagel; sister, Maria Gorski and husband, Kevin; brother, Joseph Falsone and wife, Amanda; nieces, Anna Falsone and Trina D'Angelo; nephew, Epifanio Falsone; mother-in-law, Kathleen Nagel; and sister-in-law, Tristan D'Angelo. A Funeral Mass will be held 2pm Monday, November 6, 2017 at Saint Mary Magdalene Catholic Church, 625 Magdala Place, Apex, NC 27502. The family will receive friends 6-8pm Sunday, November 5, 2017 at Apex Funeral Home, 550 W. Williams St., Apex, NC 27502.